To challenge hunger by bringing relief to people on fixed but inadequate incomes: Senior Citizens, Disabled, Single Parents, the Under-Employed or Unemployed between jobs. A hungry person or family in our area does not have a sign on their forehead that says they are hungry, rather they may appear to be “ just fine”. The facts are that there are MANY in our sphere of influence who are having to make quiet personal choices between basic monthly expenses (including food) for their family. Many have to forego “Fresh Food”. In 1996, the Bill Emerson Good Samaritan Food Donation Act became Public Law 104-210. It encourages the donation of food and grocery products to nonprofit organizations for distribution to needy individuals. The law protects donors from liability when donating to a nonprofit organization. Therefore, every day of the week Gleaners Dispatch Volunteers go to local wholesalers, retailers, and restaurants and “glean” (gather) EXCESS fresh food that would otherwise be disposed of, and redistribute the fresh food to families in need, trying to have it on someone’s table within 24-48 hours – free of charge. (3) tax-deductible status. We receive no government funding, instead depending on community-minded caring individuals, businesses, churches and community organizations. We do not have paid staff, but do have a JOY CLUB of from 50-100 Volunteers each month. 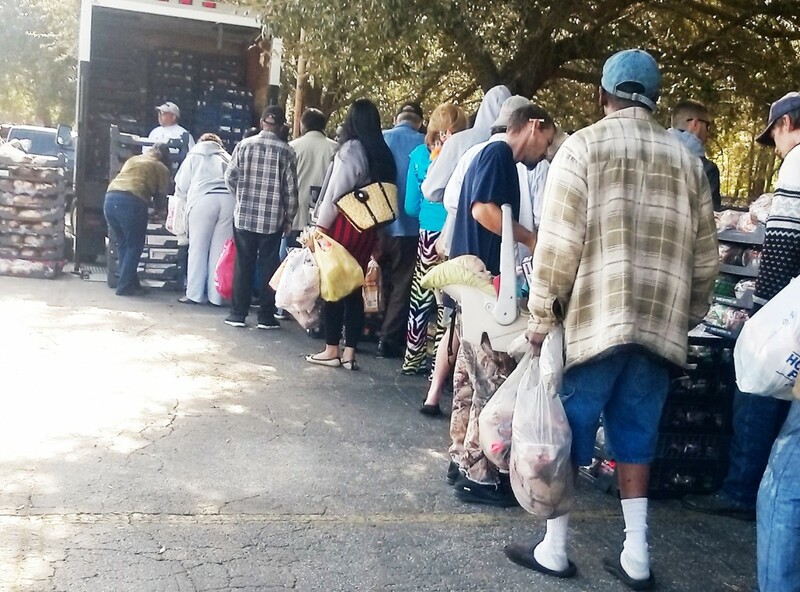 Gleaners Dispatch tries to share God’s Love in a practical way by providing fresh food, guidance and spiritual encouragement to our Volunteers and to Guests in our Distribution Lines. We are looking for people who will donate monthly to help defray our transportation and distribution expenses. Thanks for considering a donation to help.